The luxurious and welcoming, Lux Lounge Chair and Ottoman is highly accurate and durable reproduction. 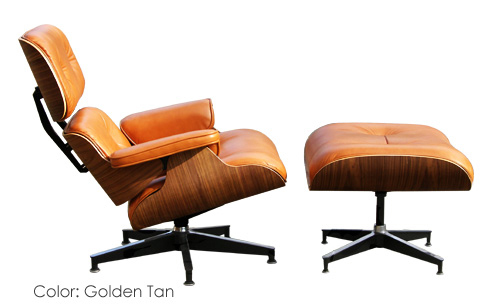 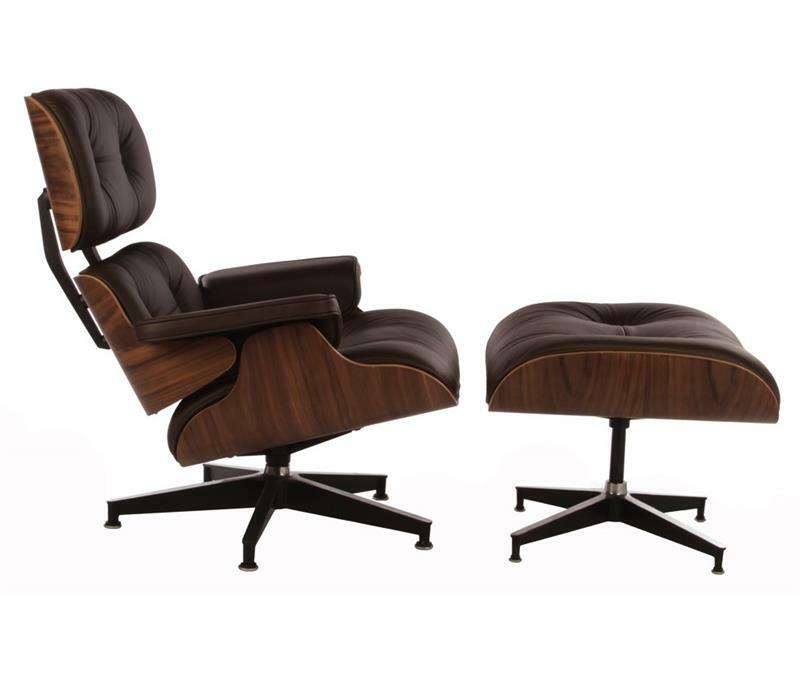 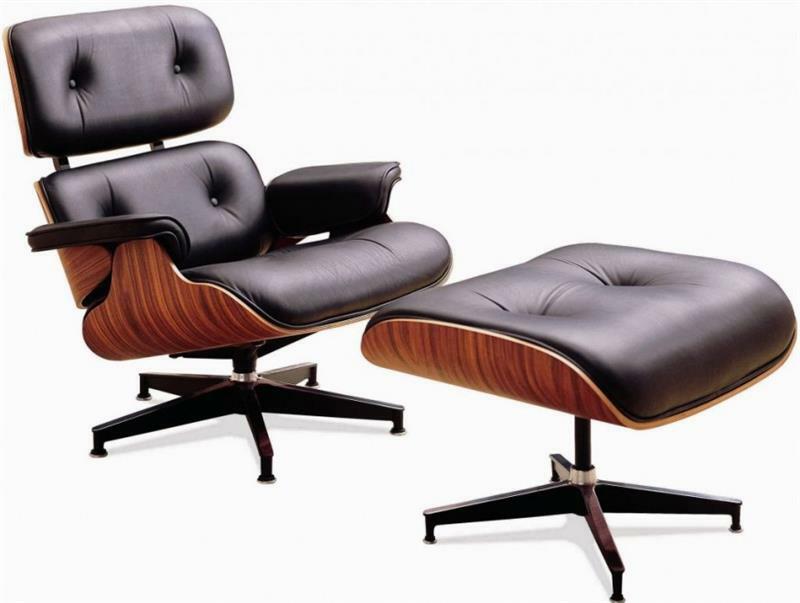 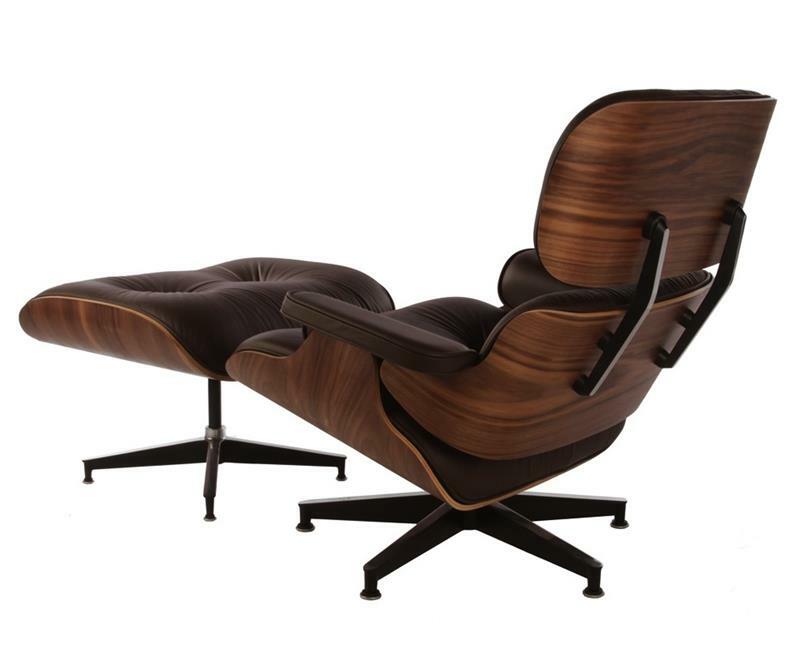 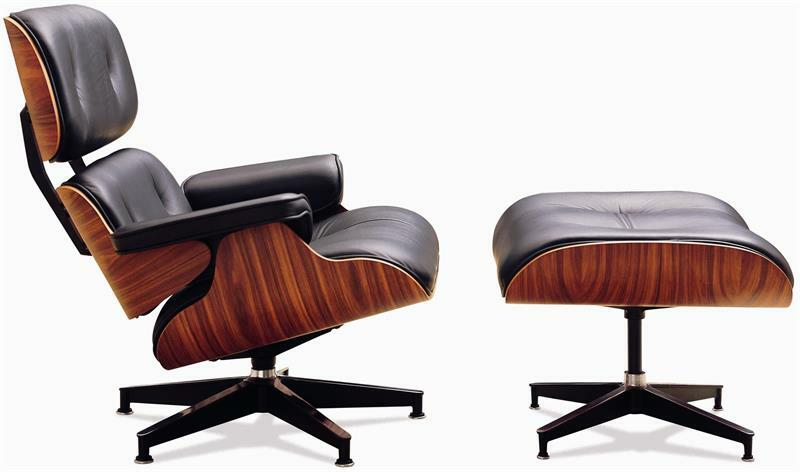 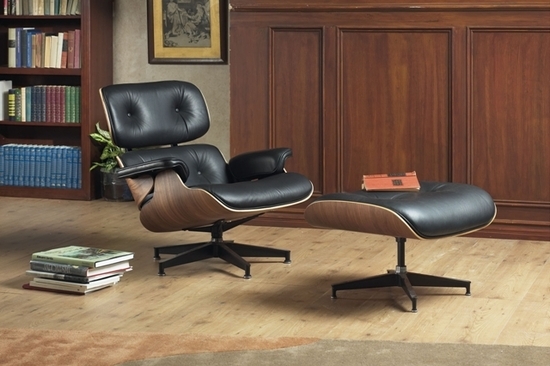 Widely considered as one of the most significant designs of the 20th century it pairs soft, inviting top grain Italian leather with the sleek form of molded plywood with palisander or american walnut veneer, the seat is balanced on a classic 5-star cast aluminum base with original-style cylinder feet. 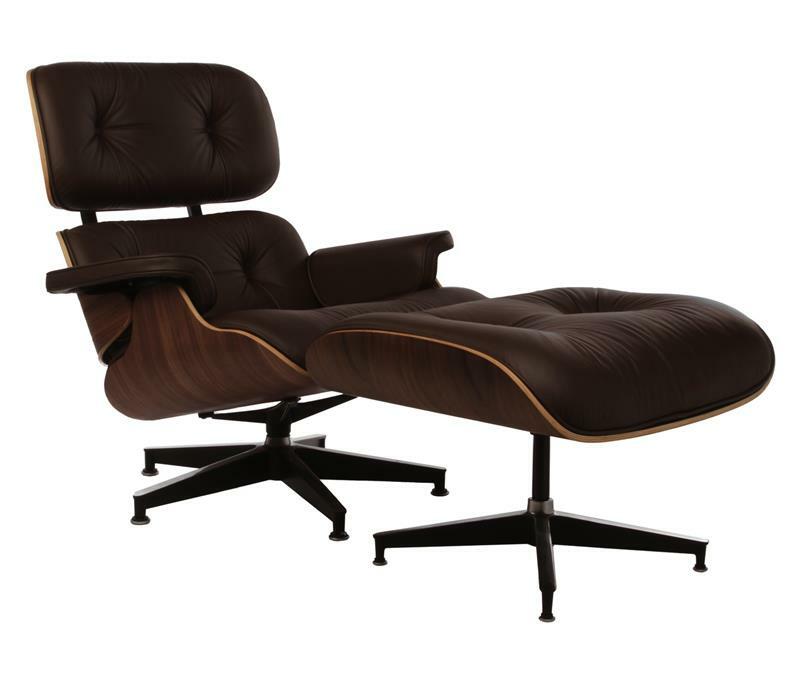 The Lux lounge chair and ottman is as comfortable as it is striking and has been consistently popular since its creation. The lux lounge chair is true to the original design with a four legged ottoman base and identical proportions. 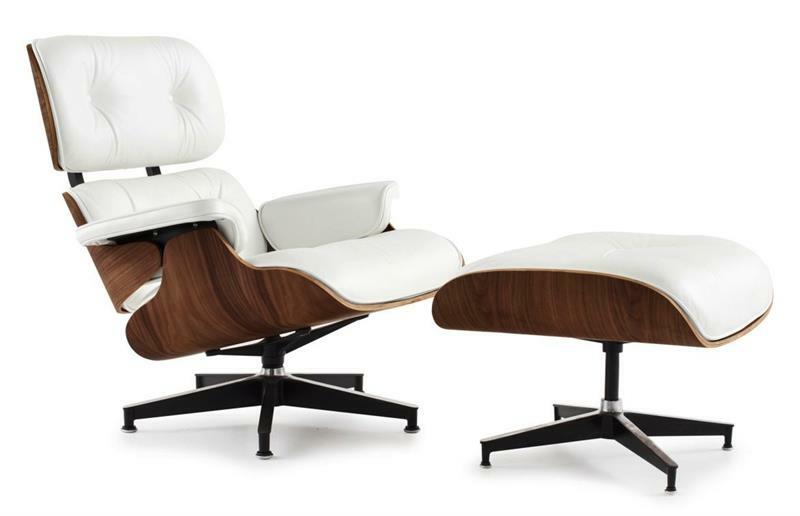 This stunning piece of furniture will compliment any living or working space and it is available in classic Black, White, Chocolate and Ivory leather colors.